As many of you know, last year I did an autism awareness raffle with an AX-10 build up. I have been asked by a few people if I had planned on doing another one this year. I may do a raffle, but I will not have time to do a build up. If there are any vendors that would be willing to donate prizes to this I would appreciate it. You can post in here or hit me up via PM. Also, if there is any interest from the rest of you to buy tickets for this raffle let me know. Thanks. Put me down for 2 special edition kits. Gonna do the seats in the puzzle look. I would buy tickets as well. Heath with CowRC just said he would donate a Coral Pack of his cleaners and also a Work Mat. will be posting more info on tickets soon. If any other vendors would like to donate a prize please let me know. I'm keen for some tix too. Big ups to all the Vendors supporting this cause. please make sure you look into the whole paypal issue before starting this. I know there have been issues. I know it's a clusterfawk for sure Selling "stickers" worked pretty well when I did the diabetes raffle, but you always risk some shithead ratting you out. Sorry for the delay guys, my sticker guy was MIV (missing in vacation ). Got a couple of stickers flying out your way Dan! These are laminated and die-cut. Have a great time cutting them !!! Last edited by MadForce; 02-22-2011 at 06:34 AM. Those are awesome my friend!! That looks like a ton of fun cutting them! 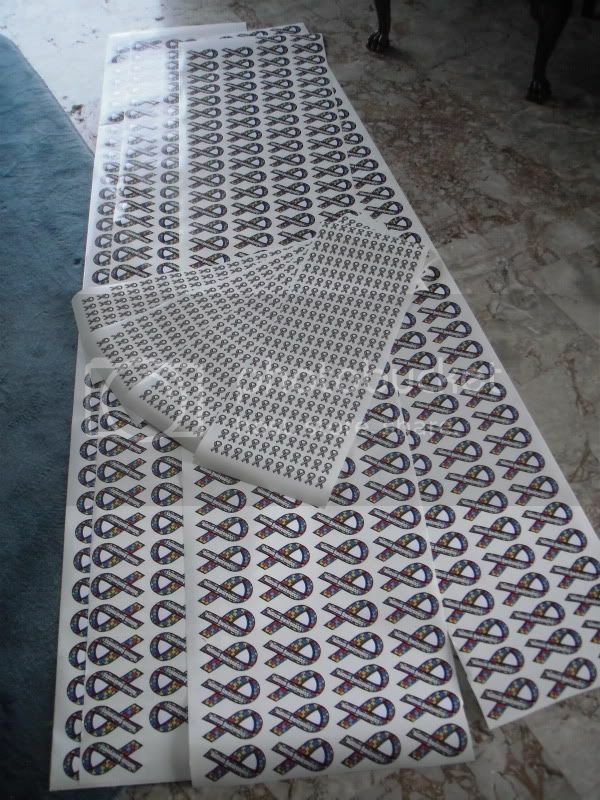 FYI, I have the Autism Stickers in my possession. If anyone wants a sticker (ticket) PM for info. We will draw the winners mid April. April is Autism Awareness Month!! GO HERE FOR THE INFO AND PRIZES!! !